With a keen eye for selecting unique and trendy secondhand articles of clothing, sophomore nursing major Natalie Shugert has put her impressive thrifting to good use by starting her own resale business on Instagram, Second Times the Charm Thrift. 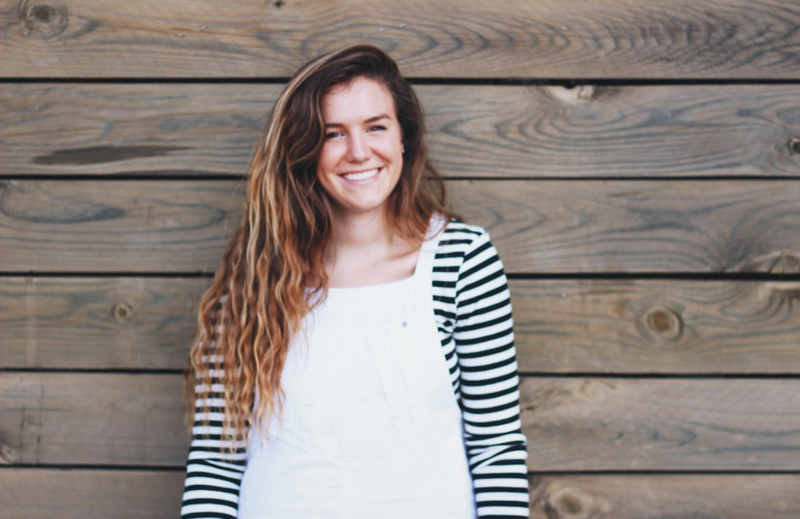 The San Diego, California native enjoys reselling stylish articles of clothing not only to Baylor students and Waco locals, but also to other customers from out of state. Find out more about how this thrifting treasure came to be. How was Second Times the Charm Thrift started? So growing up, I would always go thrift shopping with my mom and grandma. My mom and I have always had a dream of opening a secondhand store together, but that was a goal for a while down the road. This past summer, I saw that a lot of thrift accounts had become a thing, and I was like, “Oh my gosh this is totally something that I could do!” So the more that I looked into it, the more that I was encouraged by friends and family and other small businesses to start it up. That’s kind of how it got started. What is the process of getting the products that you resell? I go out to the local thrift stores two-to-three times a week, and I will just look at their items. I look for brand, quality, and what’s trending—so more modern stuff, but I also look for a lot of vintage stuff too. Obviously I look through to make sure there’s no holes, missing buttons, and what-not for a quality check. And then I take them home, I’ll look through them again, I’ll wash them and then after that I’ll price them and take pictures and post them up on Instagram. That’s a newer thing. Most of the time I will post a set price. But for the items that I think people might pay more than what I would market as, I will put it up for bid. The bidding items normally last 24 hours and there is a base-line price. Normally it’s around 8 or 9 bucks, and then each bid must go up by 1 dollar. When you’re going out looking for the products, do you shop for a certain vibe? Yeah, sometimes I will use other accounts to see what sells the best for them and use that as a gauge. Also, I just get an idea from my audience about knowing what sells well. The way that I look at it is if I wouldn’t wear it, then I’m not going to buy it. If I would maybe wear it, but it’s not necessarily my style, I’ll still buy it knowing that someone else will probably wear it. I feel like nowadays a lot of vintage styles are coming back around, but it’s a very specific arena, which is kind of hard to describe. 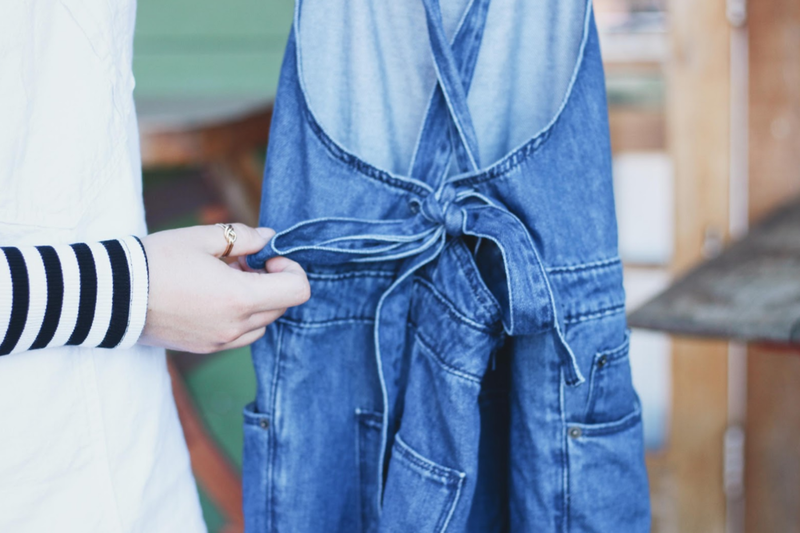 For example, vintage-like denim and dresses will normally sell pretty well. What can we expect from Second Times the Charm at Pop-Up? I’m sure I will collect more stuff between now and then, but right now I have between 150 to 200 hundred items so far. They are mainly clothes, but I also have ascots, purses, and some shoes. Most of it is fall attire, so I have a lot of sweaters, denim, jeans. I also have scrunchies which I buy from one of my best friends who makes the them, which aren’t secondhand but they’ll be there too! One of my favorite things about selling to Baylor students is being able to see them around campus wearing them, and sometimes they’ll even shout my name and say, “look at my shirt!” It makes me happy that they have a smile on their face. It’s fun to reach a greater community than what I’m already reaching—being able to see new faces and go beyond my realm of friends. Being able to realize that an article of clothing has such a history to it, and knowing that people are giving it a second life. It’s fun to add to the story of that item of clothing even though you don’t necessarily know what was done with it before it was in your possession. I’m really excited to see all of the people and reach the Waco community because I love them.